Rounder Records, a division of leading independent music company Concord Music Group, today announced the completion of the company’s relocation from its longtime base of Boston, Massachusetts to its new home in Nashville, Tennessee. The region’s vibrant creative community and dynamic business environment offer Rounder an enormous opportunity to build on its legacy as one of America’s most revered music labels. Located in The Gulch, Nashville’s popular shopping and entertainment district, Rounder’s new headquarters (1209 Pine Street, Suite 100, Nashville, TN 37203) is centered in the heart of the city’s thriving metropolitan core. A major force in a broad range of musical genres including Americana, bluegrass, country, folk, rock, Cajun/Zydeco and children’s music, Rounder Records has helped shape American roots music for over 40 years. Its outstanding artist roster includes Alison Krauss, Steve Martin, RUSH, Gregg Allman, Raffi, Mary Chapin Carpenter, Carlene Carter, Steep Canyon Rangers, Tony Trischka and rising stars such as J.D. McPherson, Della Mae and others. Concord Music Group and Rounder are additionally delighted about the effort to broaden their presence in children’s entertainment, anchored by the recent acquisition of the beloved record label Music For Little People. The company will operate as an imprint under Rounder, which shares a long and complementary history in children’s music. A premiere children’s music showcase for 25+ years, Music For Little People releases have featured artists such as Willie Nelson, Faith Hill, Taj Mahal, Los Lobos, Laurie Berkner, AC/DC’s Brian Johnson, Pete Seeger and Ladysmith Black Mambazo, to name but a few. Music For Little People founder Leib Ostrow will continue to be an essential contributor to the label going forward. A slate of new projects is scheduled for release in 2014 and beyond. Headed by President John Virant, Rounder’s Nashville team includes Vice President of A&R Scott Billington, newly appointed Vice President of A&R Tracy Gershon and Director of Project Management Eliza Levy. Rounder will continue to be supported by Concord’s integrated national sales and marketing services. “Rounder has always been driven by the music, and we’re thrilled to have the opportunity to contribute and be part of the Music City community,” – John Virant, Rounder President. Rounder Records founders, Ken Irwin, Bill Nowlin and Marian Leighton Levy remain in the Boston area and continue to be actively engaged in the company, producing and consulting on various Rounder projects. In many ways, the move to Nashville feels like a natural transition, The region’s deeply rooted, artist friendly culture and its surrounding business community make it the ideal home for Rounder. Additionally, Music For Little People is a great label that will strengthen Rounder’s commitment to quality entertainment for children. We couldn’t be more excited about this next chapter in the company’s incredible story – Glen Barros, Concord Music Group President and CEO. Rounder has been at the center of American roots music the last 40 years. The self-titled 1975 record by J.D. Crowe and the New South (featuring future stars Ricky Skaggs, Tony Rice and Jerry Douglas) revitalized bluegrass and inspired such modern superstars as Rounder’s own Alison Krauss, who is the most decorated female artist in the history of the GRAMMY® Awards and has also sold over eight million albums and DVDs. Her collaboration with Led Zeppelin front man Robert Plant on the album Raising Sand emerged as one of 2007’s major critical and word-of-mouth sales success stories. The album was RIAA-certified platinum in early 2008 and won five GRAMMY® Awards including Album and Record of the Year in 2009. An unequaled leader in the preservation and re-release of precious historic recordings, Rounder has brought the music of Jelly Roll Morton, Woody Guthrie, Lead Belly, the Carter Family, Jimmie Rodgers and Mississippi John Hurt back to vibrant life. In addition, their dazzling work on the epic anthologies from the Library of Congress and the Alan Lomax Collection has been universally respected and admired. Based in Beverly Hills, CA privately held Concord Music Group, is one of the largest independent record and music publishing companies in the world and owner of a rich and historically significant catalog of recordings. A small sampling of the company’s active roster includes such renowned artists as Sir Paul McCartney, Paul Simon, Alison Krauss, Chick Corea, James Taylor, Booker T. Jones, George Benson, Steve Martin, Valerie June, Christian Scott, Gregg Allman, Elbow, Ben Harper and Esperanza Spalding. Concord’s stellar catalog includes legends such as John Coltrane, John Fogerty, Creedence Clearwater Revival, Ray Charles, Miles Davis, Little Richard, Otis Redding, Thelonious Monk, Isaac Hayes, Ella Fitzgerald and Tony Bennett, among many others. The company’s celebrated family of labels includes Concord Records, Concord Jazz, Hear Music, Fantasy, Stax, Milestone, Riverside, Specialty, Telarc, Heads Up, Prestige and famed American roots label Rounder Records. The group’s artists and music have won over 200 GRAMMY® Awards, an affirmation of the company’s mission to enrich lives by providing enduring music in creative and innovative ways. Concord Music Group’s releases are distributed throughout the world by Universal Music Group and are regularly licensed for use in major motion pictures, television and advertising. In March of 2013, Wood Creek Capital Management, LLC acquired Concord Music Group in partnership with an individual investor group that includes members of Concord’s senior management. As an investment manager at the forefront of intellectual property investing, the investment in Concord underscores Wood Creek’s belief in the lasting and appreciating value of great music content around the globe. 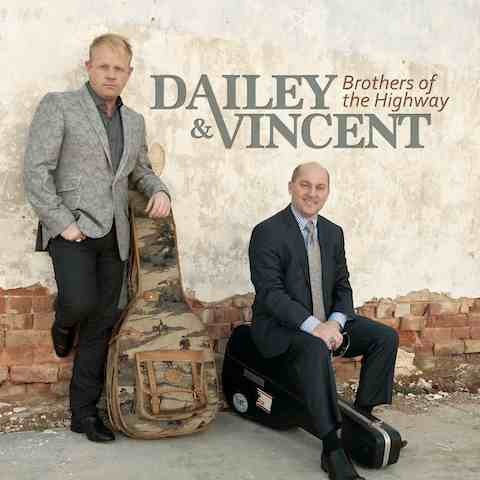 Acclaimed bluegrass duo Dailey & Vincent have released “Steel Drivin’ Man,” the first single off their highly anticipated new album Brothers Of The Highway (due out on 7th May on Rounder Records). The single has debuted at #5 on Bluegrass Today’s airplay chart. The video for “Steel Drivin’ Man” premiered on CMT’s Pure Country channel this week – however is unavailable in Australia. “Steel Drivin’ Man” is one of two original Jamie Dailey compositions that appear on the album. 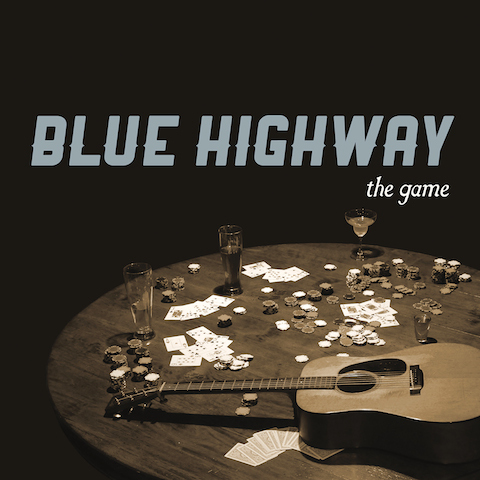 Brothers of the Highway also features ten stirring and evocative new interpretations of songs made famous by the likes of Vince Gill, the Louvin Brothers, Kathy Mattea, Bill Monroe, Cody Shuler & Pine Mountain Railroad, George Strait, and Porter Wagoner. Since they first came on to the scene in 2007, Dailey & Vincent have amassed an impressive array of honors, including three consecutive IBMA (International Bluegrass Music Association) Awards for Entertainer of the Year and Vocal Group of the Year, respectively; two Grammy nominations, and the 2011 Dove Award for Bluegrass Album of the Year. The band, dubbed “masters of harmony singing” (No Depression) has also become a perennial favorite on the touring and festival circuit: they play over 115 shows per year to sold out crowds in the United States and have developed a strong international following. 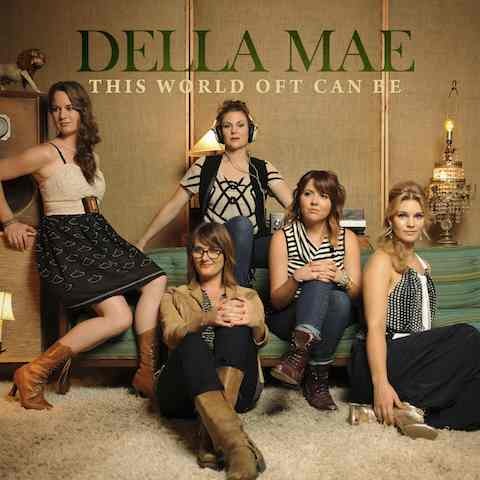 On 28th May this year, Boston-based quintet Della Mae will release their debut for Rounder, This World Oft Can Be. The album, which was produced by Bryan Sutton and mixed by Paul Q. Kolderie (Radiohead, Hole, Dinosaur Jr.) shows that like the Avett Brothers, Lumineers, and Punch Brothers, these five multi-talented young women are respectful of American musical tradition, but not restricted by it, combining centuries’ worth of musical influences with an emotionally tough, undeniably modern songwriting sensibility. This World Oft Can Be‘s 12 songs—including such engaging originals as “Empire,” “Paper Prince,” “Maybeline” and the feisty title track—showcase the fivesome’s world-class instrumental abilities, lilting harmonies and subtly commanding lead vocals. Although the musicians’ sublime skills have already won them numerous individual honors, the album’s focus is squarely on the band’s emotionally potent songs and spirited, effortlessly expressive performances. The identity that we’ve developed as a band is a melting pot of our different personalities and backgrounds – founder Kimber Ludiker. After having the idea at a summer festival, Kimber hand-picked musicians from all over the country: singer Celia Woodsmith comes from a blues/rock background, guitarist Courtney Hartman studied at Berklee College of Music, bassist Shelby Means played with various bands in Nashville, and mandolin player Jenni Lyn Gardner was schooled in traditional bluegrass. Della Mae’s members hail from all over the United States, and the five women each bring impressive musical resumes amassed in their previous ventures. In addition to playing festivals and clubs throughout the United States, Della Mae recently expanded the scale of its touring efforts after participating in the U.S. State Department’s American Music Abroad program. Selected as cultural ambassadors, the band spent 43 days traveling in Pakistan, Kazakhstan, Kyrgyzstan, Tajikistan, Turkmenistan and Uzbekistan, where they collaborated with local musicians, taught educational programs for children, and played concerts for local audiences. Touring has been a life-changing experience for us, individually and as a band. A cool thing about playing music in Central Asian countries is in the lack of distinction their audience places between musical genres. We found that if music is played with feeling, all people connected to it. They find themselves smiling and relating without even understanding the language – Kimber Ludiker. Della Mae will tour the United States this summer. Dates will be announced shortly. Acclaimed bluegrass group Dailey & Vincent will release their sixth studio album, Brothers Of The Highway, on 7th May, 2013. The eagerly anticipated follow-up to 2012’s Grammy-nominated The Gospel Side of Dailey & Vincent features a pair of original Jamie Dailey compositions as well as ten stirring and evocative new interpretations of songs made famous by the likes of Vince Gill, the Louvin Brothers, Kathy Mattea, Bill Monroe, Cody Shuler & Pine Mountain Railroad, George Strait, and Porter Wagoner. I am extremely passionate about this album. It is a reflection of my heart, my soul, and my love for great music. When it was time to record this album, Darrin and I knew exactly what we wanted it to be. We both agreed that it was time to record a straight-ahead Bluegrass record consisting of a blend of original songs and songs from the past that we absolutely love. We know where we came from, and we know where we want to go. We feel this record is in step with our musical dreams, and we are excited for people to hear it – Jamie Dailey. Brothers Of The Highway” has been a labor of love for us,” adds Vincent. “We wanted to make an album about the joys of a simple way of life and tell stories through descriptive lyrics about friends, family, and love. I am so proud of this album. From the bottom of my heart, I hope you enjoy these songs as much as we enjoyed performing them for you – Darrin Vincent. Since they burst onto the scene in 2007, Dailey & Vincent have amassed an impressive array of honors including three consecutive IBMA (International Bluegrass Music Association) Awards for Entertainer of the Year and Vocal Group of the Year, respectively; two Grammy nominations, and the 2011 Dove Award for Bluegrass Album of the Year. The band, dubbed the “rock stars of bluegrass” by CMT.com, has also become a perennial favorite on the touring and festival circuit: they play over 115 shows per year to sold out crowds in the United States and have developed a strong international following. 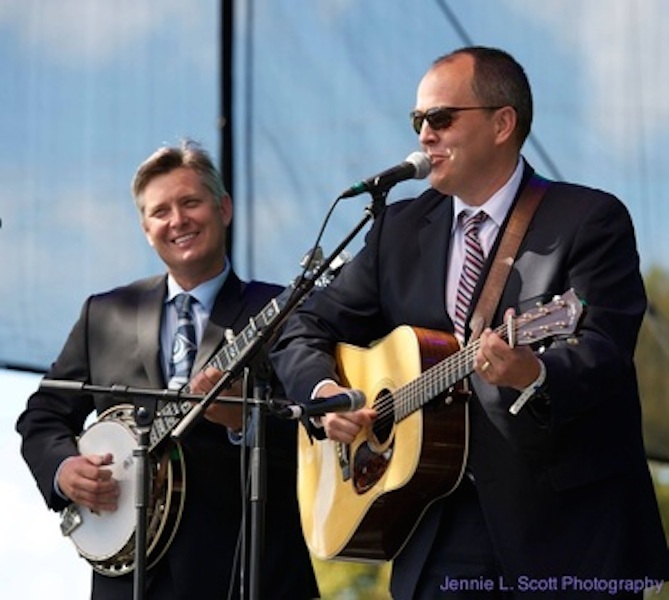 Dailey & Vincent’s peerless lineup includes the outstanding mandolin playing and lead and harmony vocals of Jeff Parker, the remarkable talents of banjo player Jessie Baker, fiddler B.J. Cherryholmes, and bass singer extraordinaire Christian Davis, as well as the unmatched vocals of Jamie and Darrin themselves. 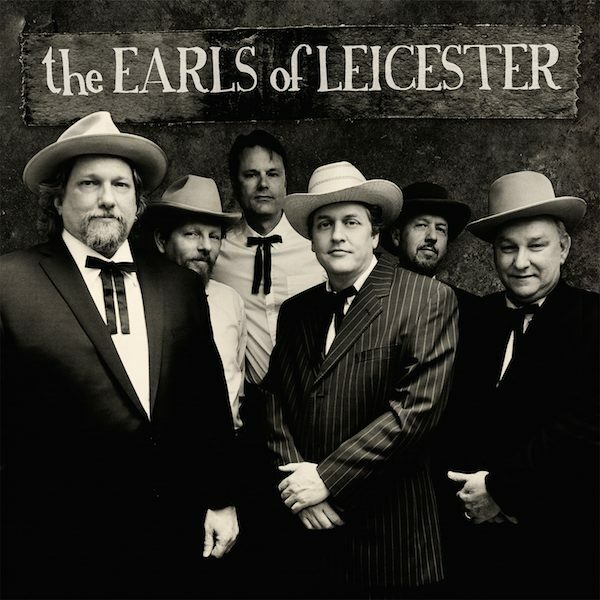 A number of stellar guests lent their talents to this album, including Johnny Beller on Dobro, Molly Cherryholmes on fiddle, Mike Compton on mandolin, Joe Dean on banjo, Jimmy Fortune on vocals, Andy Leftwich on fiddle, mandolin and mandocello), and Bryan Sutton on guitar. 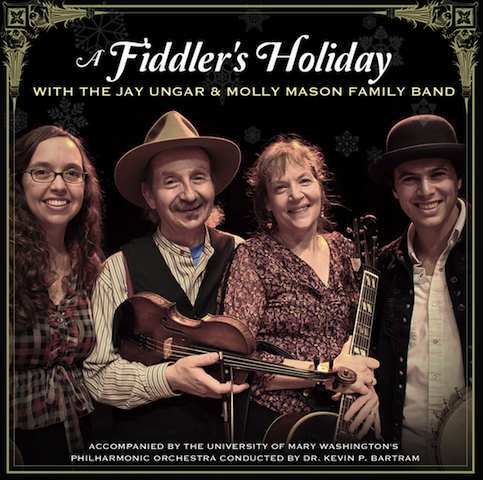 Acclaimed acoustic musicians The Jay Ungar & Molly Mason Family Band will be releasing their live concert album, A Fiddler’s Holiday, on November 20 on Rounder Records. This concert is a musical celebration of the winter holiday season, a time when families gather round hearth and home to keep their spirits warm and bright. The Jay Ungar & Molly Mason Family Band is accompanied by the University of Mary Washington Philharmonic Orchestra conducted by Dr. Kevin P. Bartram. A Fiddler’s Holiday was video taped at The University Of Mary Washington in historic Fredericksburg, Virginia for a PBS Special that will air on PBS affiliate television stations during the holiday season. The program was produced and directed by four-time Emmy® Award winner Jim Brown. A video teaser of the concert is available here. Jay Ungar and Molly Mason are best known for “Ashokan Farewell,” the musical centerpiece of the Grammy® Award winning score of The Civil War series, and other frequent collaborations with Ken Burns. Jay and Molly’s music is best described as American roots music. Jay is regarded as one of America’s finest fiddlers. Molly, known as a consummate accompanist, was the bass player in Garrison Keillor’s Powder Milk Biscuit Band. Their musical career has spanned more than thirty years and taken them from square dances and folk clubs to Tanglewood, Madison Square Garden and the White House. A performing duo in their own right, Ruthy Ungar and her husband Mike Merenda were members of The Mammals. Rounder Records has announced the release date of a new compilation album called Foggy Mountain Special: A Bluegrass Tribute To Earl Scruggs. The release date is to be the 5th June 2012. Earl Scruggs almost single-handedly perfected and popularized the rolling, three-finger banjo technique (“Scruggs Style”) that has become the signature sound of bluegrass. Over a period of a couple of years, many of the best banjo players in bluegrass convened in Nashville to record this tribute to him. With his recent passing, this collection of never-before-released material has become a memorial album as well, for his pervasive influence can be heard on every track. Bluegrass banjo doesn’t get much better than this.